Our dust mops feature launder-able 2-ply construction, with cotton yarn sewn to a synthetic backing designed to attract dust like a magnet. Our wet mops are ideal for damp mopping, scrubbing and all-purpose cleaning. 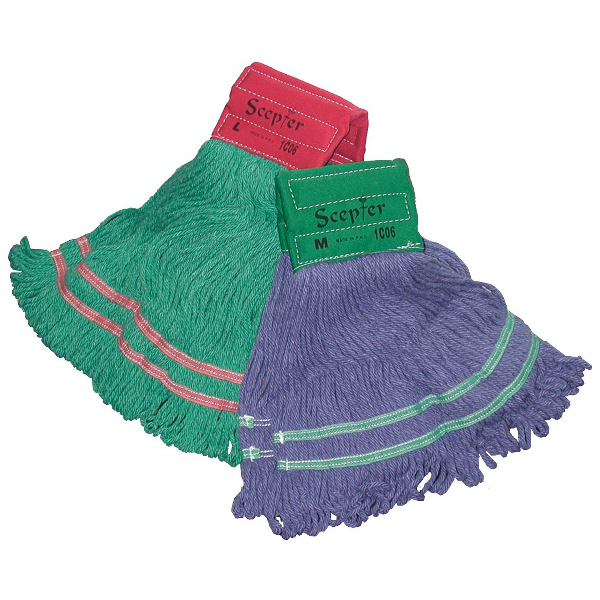 Both wet and dry mops are available in multiple colours to designate use. Enlist ECOSAN to exchange your dirty mop heads for clean ones with our Mop Rental Service. Every week a professionally trained ECOSAN Hygiene Technician will arrive on a scheduled rotation to remove soiled product and exchange for clean mop heads.